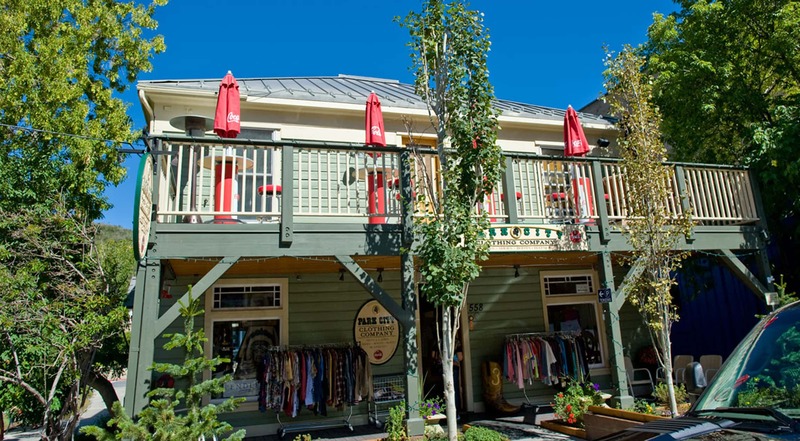 We are a locally owned boutique that has been on Park City's Main Street since 1994. We spent 15 years in the Main Street Mall and are now located two blocks north (down the street) in a historic two-story building. We feature Men's & Ladies' clothing and accessories plus home decor. We specialize in Pendleton, Brighton Collectibles, Ryan Michael, Filson, Not Your Daughter's Jeans, Double D Ranchwear, Komarov, Brazil Roxx, and Curio Sweaters. We have a large selection of Western boots, including Men's sizes 14-15 and Ladies' Wide widths (Ariat, Corral, Lucchese 1883, Charlie1Horse, and Tony Lama). We also carry Timberland, Minnetonka, Smartwool, and Acorn. Our hat selection includes Stetson, Pendleton, Shady Brady and Stormy Kromer. Our home decor includes the best selection of Pendleton blankets, Denali and Montanaco throws in Utah. Come visit one of the most unique stores in Park City (lots of Coca-Cola memorabilia to see) and take your picture with Loosey the Moose.